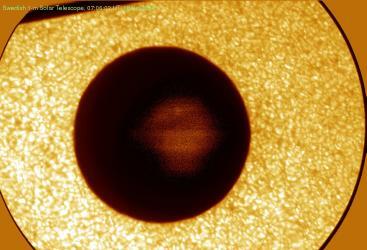 Latest Comment (June 8, 07:30 UT) : The visual light one sees from the Sun comes from a thin layer that is called the photosphere. 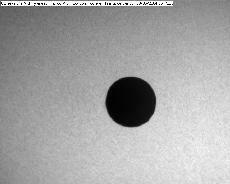 This is where you see the sunspots and this layer is only about 300 km thick. A lot of articles about the transit are appearing on the web - there are now about 1200 on the Google News. The VT-2004 website is still experiencing about 1500 hits per second (90,000 per minute) - and the data volume has now reached 540 Mbits/sec.